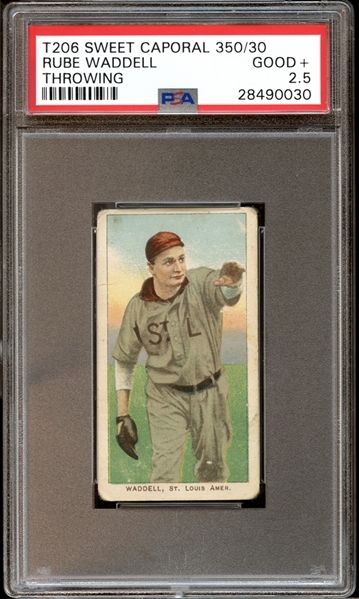 Here's a well-colored example of Rube Waddell's T206 "throwing" card. Uniformly rounded corners surround a sharp image of the famed strikeout artist and is capped off with excellent centering for the grade. 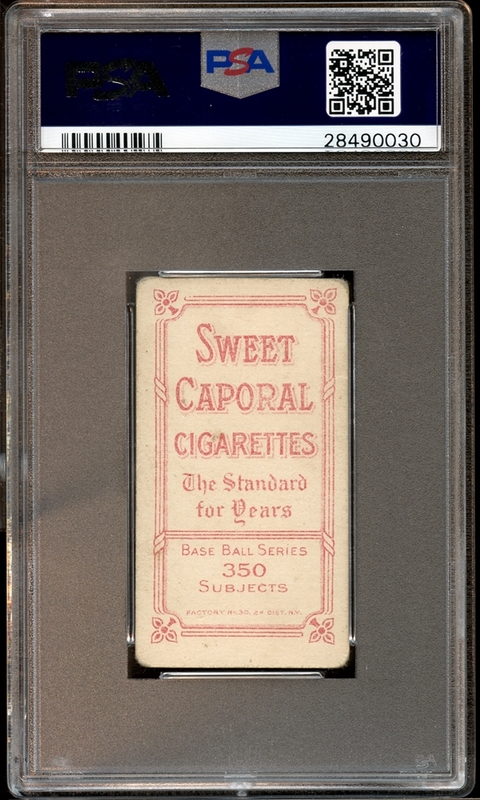 A recommended specimen for any aspiring T206 Set Registry or HOF collection.